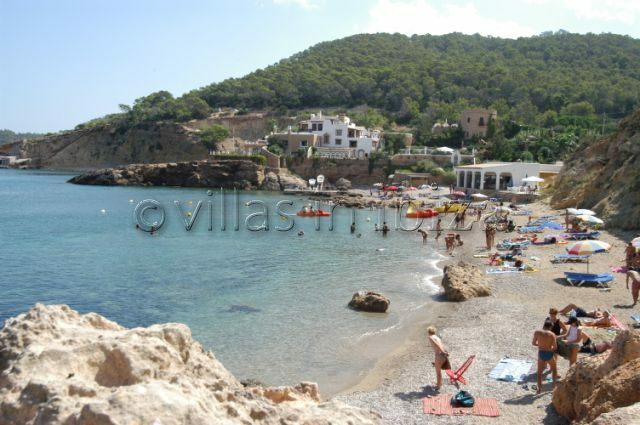 As one of Portinatx’s numerous beaches, Cala de Xarraca is a quiet, secluded bay with beautiful views. There is a welcoming restaurant overlooking the beach, serving a selection of delicious foods. If you are looking to escape the popular tourist beaches this is the place to be. However, if you still want a bit of adventure, exploring the beautiful rocks and cliffs is made easy with the wide availability of peddle boats to hire.